Want to be reminded about an event? Click the event title to set up a reminder sent from the event calendar. Signup to receive the coming week’s event highlights emailed to you each Monday morning. From hunger to housing, foreign aid to advancing democracy — this semester’s visiting speakers will present ideas to address the world’s pressing problems. Moving from the serious to the sublime, spring’s cultural calendar includes appearances by renowned violinist Joshua Bell, local literary luminary Dave Eggers, performance artist Laurie Anderson, and visits from a host of celebrated musicians, filmmakers, artists, and authors. This short list only scratches the surface; events may change, and new events will be added daily. Visit the Critic’s Choice website for a full listing and to learn the latest. Also in CED’s series: Built World: Consulting Nature as Model, Measure, and Mentor, a talk by Janine Benyus, president and founder of the Biomimicry Institute. Her focus will be biomimicry, the science and practice of asking, “How would nature solve this design challenge?” (Thursday, Feb. 4, 6:30 p.m., Chevron Auditorium, International House). Described as “the world’s greatest economist“ by Bill Clinton, Hernando de Soto will draw parallels between Wall Street’s financiers and slum dwellers in developing countries in Slumdogs vs. Millionaires, a Blum Center-sponsored talk. De Soto is president of the Institute Libertad y Democracia, which focuses on designing and implementing capital-formation programs to empower the poor (Thursday, Jan. 28, 1:30 p.m., 290 Hearst Memorial Mining Building). The conference Moderne and Modernity, organized by the Institute of East Asian Studies, will explore the architecture and urban spaces; the economic underpinnings of foreign trade, commerce, labor, and leisure; and the words and images Shanghai’s populace consumed in the first third of the 20th century (Saturday, March 6, 9 a.m., Berkeley Art Museum, Theater). 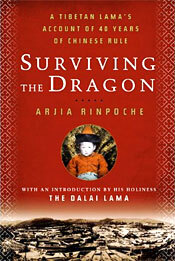 Arjia Rinpoche, former Abbot of Kumbum Monastery in Amdo, Tibet, shares his story in Surviving the Dragon: A Tibetan Lama’s Life Under Chinese Rule (Wednesday, April 7, 5 p.m., Institute of East Asian Studies conference room, 2223 Fulton St., 6th floor). Paul Steinberg, associate professor of political science and environmental policy at Harvey Mudd College and a visiting scholar in Berkeley’s Department of Environmental Science, Policy and Management, will consider the challenge of long-term political commitment to environmental sustainability in Environmental Policy Reform in Unstable Political Systems. The Center for Latin American Studies’ Bay Area Latin America Forum is the event’s sponsor (Monday, April 12, noon, 554 Barrows). 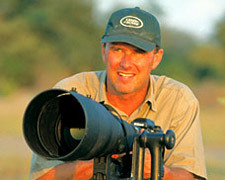 National Geographic editor-in-chief Chris Johns addresses the emerging challenges posed by a decrease in global freshwater and the choices ahead as the world manages a limited supply in Water is Life, the College of Natural Resources’ Albright Lecture (Thursday, April 22, check website for time and location). Warren Belasco, medical doctor at the University of Maryland, Baltimore, will examine the attempts to effect political change through personal dietary change in Saving the World With a Clean Plate, part of the European Union Center’s symposium “Food: History and Culture in the West” (April 30, 3 p.m., 233 Moses Hall). The Institute of European Studies and the Department of Italian Studies host director Germano Maccioni, who will discuss his film The State of Exception – A Trial for the Monte Sole Nazi Massacre After 62 years, a documentary about the 2006-07 Nazi war crimes trial of 17 former German members of the SS military. The men were charged with crimes committed in 1944 in Italy, including what is considered one of the largest Nazi-Fascist bloodbaths in Western Europe, in which an entire SS division killed hundreds of defenseless civilians (Thursday, Jan. 28, 4 p.m., B-4 Dwinelle Hall, Berkeley Language Center). What are Americans’ attitudes toward veterans of the Iraq and Afghanistan wars? How do they compare to the public view of Vietnam war veterans in the 1960s and ’70s? James Wright, president emeritus and professor of history at Dartmouth College, will reflect upon those questions in War Veterans and American Democracy, the Jefferson Memorial Lecture (Tuesday, Feb. 2, 4:10 p.m., Martin Luther King Jr. Student Union, Pauley Ballroom East). Steve Coll, president of New America Foundation, staff writer at The New Yorker, and former foreign correspondent and senior editor at the Washington Post, will discuss Afghanistan’s Impact on Pakistan, part of the “Travers Lecture Series on U.S. Foreign Policy” (Monday, March 1, 4 p.m., Banatao Auditorium, 310 Sutardja Dai Hall). Hal Varian, chief economist of Google and former dean of Berkeley’s School of Information, will tackle the dramatic transformation of journalism in The Economics of News (Wednesday, Jan. 27, 6 p.m., North Gate Hall Library). From petty crime to top yakuza bosses, U.S. reporter Jake Adelstein reveals the dark side of Japanese life as few outsiders have seen it in Tokyo Vice: An American Reporter on the Police Beat in Japan (Wednesday, March 17, 4 p.m., Institute of East Asian Studies Conference Room, 2223 Fulton St., 6th floor). Regents Lecturer Jeremy Kinsman, former Canadian ambassador and high commissioner to more than 15 countries, will speak about advancing democracy in foreign countries under repressive regimes in Supporting Democracy Abroad: Moral Imperative or Imperialist Meddling?, presented by the Institutes of Governmental Studies and International Studies (Tuesday, Feb. 23, 3 p.m., Lipman Room, 8th floor, Barrows). 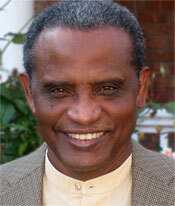 Abdullahi An-Na’im, an internationally recognized scholar of Islam and human rights in cross-cultural perspectives, will present two Tanner Lectures: The Imperative of Transcending Imperialism: Self-determination for Global Citizenship (Tuesday, March 9, 4:10 p.m., Toll Room, Alumni House), and Taming Utopia: Pragmatic Means for Transformative Vision (Wednesday, March 10, 4:10 p.m., Toll Room, Alumni House). This spring’s Center for Latin American Studies’ Cine Latino series includes Archeology of Memory: Villa Grimaldi, a documentary by Quique Cruz, a Chilean composer/musician/poet now living in the Bay Area. Cruz, the film’s protagonist, returned to the ruins of Pinochet’s notorious torture center — where he was confined 30 years earlier — to interview the artist friends imprisoned with him, who share how making art helped them heal. The film includes a musical performance by Cruz’s group, Quijeremá (Sunday, Feb. 7, 5:30 p.m., Pacific Film Archive). Nigerian poet, playwright, and essayist Wole Soyinka, this year’s Avenali Chair in the Humanities, was the first African to be awarded the Nobel Prize for Literature in 1986. A human-rights advocate who has been imprisoned several times for criticizing many of Nigeria’s dictators, Soyinka will discuss Rights and Relativity: The Interplay of Cultures (Monday, Feb. 1, 7:30 p.m., Wheeler Auditorium; follow-up panel discussion Feb. 2, 4 p.m., Maude Fife Room, 315 Wheeler Hall). The Townsend Center for the Humanities hosts leading British literary critic Terry Eagleton, who will explore The Death of Criticism? Best-known for the academic bestseller Literary Theory (1983), Eagleton has written more than 50 books, including a novel, play, and memoir in addition to his theoretical and critical work. (Monday, April 5, 4 p.m., Maude Fife Room, 315 Wheeler Hall). 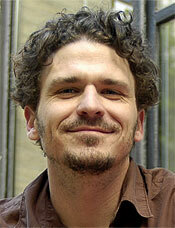 Story Hour, the campus’s monthly prose-reading series, kicks off the semester with literary luminary Dave Eggers, whose most recent novel, Zeitoun, is the story of one man’s life after Hurricane Katrina (Thursday, Feb. 11, 5 p.m., Morrison Library). Also reading at Story Hour: Sara Houghteling, author of Pictures at an Exhibition (Thursday, March 11, 5 p.m., Morrison Library), and Michelle Richmond, author of the bestseller The Year of Fog and last year’s No One You Know (Thursday, April 8, 5 p.m., Morrison Library). The series culminates with a student reading featuring the year’s prize-winners and faculty nominees (Thursday, May 6, 5 p.m., Morrison Library). This semester, Lunch Poems presents Dan Bellm, whose third book of poetry, Practice, won the 2009 California Book Award (Thursday, Feb. 4, 12:10 p.m., Morrison Library); Natasha Trethewey, author of Native Guard, for which she won the 2007 Pulitzer Prize (Thursday, March 4, 12:10 p.m., Morrison Library); and Lisa Chen, whose debut collection, mouth, received a 2009 award from the Association for Asian American Studies (Thursday, April 1, 12:10 p.m., Morrison Library). Lunch Poems’ student reading features winners of prizes from Academy of American Poets, Cook, Rosenberg, and Yang (Thursday, May 6, 12:10 p.m., Morrison Library). Surreal and otherworldly, Jean-Paul Bourdier’s images of painted bodies in the desert appear to be digitally manipulated. They aren’t. An exhibit at the Townsend Center, Body of Light, showcases the striking work of Bourdier, professor of architecture, photography, design, and visual studies. (Feb. 11 – Dec. 17, Townsend Center for the Humanities, 220 Stephens). The Berkeley Art Museum unveils two major exhibits in February and March. Born deaf and raised in rural Idaho, James Castle (1899-1977) created an enormous, varied, naturalistic body of work inspired by his immediate surroundings. This is the first comprehensive retrospective of Castle’s drawings, books, and paper constructions (Feb. 3 – April 25, Berkeley Art Museum). What’s It All Means: William T. Wiley in Retrospect looks back over 50 years of the California artist’s career. Using many media, Wiley (b. 1937) tackled myriad subjects in his work — art, politics, war, global warming, foolishness, ambition, hypocrisy, and irony — all with an idiosyncratic sense of the absurd (March 17 – July 18, Berkeley Art Museum). 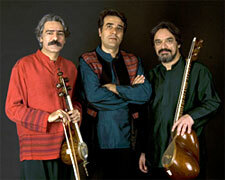 Cal Performances presents the Masters of Persian Music in a new program that brings together Hossein Alizadeh, the tar (plucked lute) maestro who is considered an inspiration to an entire generation in his native Iran; Kayhan Kalhor, the kamancheh (spike-fiddle) virtuoso who has been instrumental in popularizing Persian music in the West through his many musical collaborations; and young vocalist Hamid Reza Nourbakhsh, a leading disciple of Mohammad Reza Shajarian (Saturday, Feb. 13, 8 p.m., Zellerbach Hall). Classical-music superstar and violinist Joshua Bell returns to Cal Performances with pianist Jeremy Denk. Their program includes Bach’s Violin Sonata No. 4 in C minor and Schumann’s Sonata No. 1 for Violin and Piano in A minor, Op. 105 (Sunday, Feb. 21, 3 p.m., Zellerbach Hall). The Department of Music and the Townsend Center for the Humanities present Malcolm Bilson, emeritus professor of music at Cornell University, a renowned American pianist and scholar who specializes in early pianos. Bilson will perform on the music department’s Regier fortepiano; the program will feature pieces by Mozart, Beethoven, Haydn, Cramer, and Dussek (Friday, Feb. 26, 8 p.m., Hertz Concert Hall). The University Chorus and University Symphony Orchestra come together to perform Beethoven’s majestic Mass in C. Marika Kuzma and David Milnes will share conducting duties. Also on the program: excerpts from George Gershwin’s Porgy and Bess, (Friday, April 9 and Saturday, April 10, 8 p.m., Hertz Concert Hall). Composer and improvising pianist Myra Melford performs a benefit concert with Trio M for the Department of Music Jazz and Improvised Music Program. Trio M’s members are Mark Dresser, bass; Matt Wilson, drums; and Melford on piano. The opening set will feature an ensemble of current students and alumni (Friday, April 23, 8 p.m., Hertz Concert Hall). Alfred Leslie, a creative painter, performance artist, filmmaker, and videomaker, comes to Berkeley for a two-program series, Cool Man in a Golden Age, highlighting his long career, which included collaborations with Robert Frank, Jack Kerouac, and poet Frank O’Hara (Tuesday, Feb. 9 and 16, 7:30 p.m., Pacific Film Archive). The Department of Theater, Dance, and Performance Studies presents Slaughter City by neo-Brechtian Naomi Wallace, a story about labor negotiations set in a Midwestern slaughterhouse that mixes labor strife past and present in a tale of struggle and hope (Fridays and Saturdays, March 5, 6, 12, and 13, 8 p.m.; Sundays, March 7 and 14, 2 p.m., Zellerbach Playhouse). 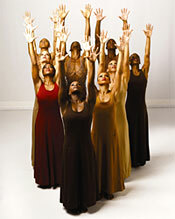 In this year’s visit to Cal Performances, Alvin Ailey American Dance Theater performs three distinct programs featuring three Bay Area premieres, a restaging of Hymn, director Judith Jamison’s Emmy Award-winning tribute to Ailey, and the company’s beloved Revelations (Tuesday-Friday, March 9-11, 8 p.m.; Saturday, March 13, 2 and 8 p.m.; Sunday, March 14, 3 p.m.; Zellerbach Hall). 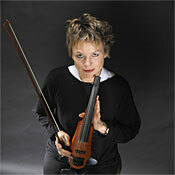 Multimedia storyteller and violinist Laurie Anderson returns to Cal Performances with Delusion, a series of short mystery plays inspired by Balzac, Ozu, and Laurence Sterne in which she explores the pleasure of language and the connections between longing, memory, and identity (Friday-Saturday, May 7 and 8, 8 p.m., Zellerbach Hall).